At the tender age of two, Shabbo Sheikh from Mumbai encountered a horror. She endured an acid attack by her father that took away her mother and subjected her to numerous struggles in life. Conquering all the hardships life threw her way, her story was brought to light by the Humans of Bombay. This young girl's resolve to lead a happy life despite everything is truly heroic. Growing up in an orphanage, Shabbo received a lot of love and pampering. As she was never exposed to the outside world, the girl conscious of her appearance tried to hide from everyone during initial college days. Eventually, she broke that glass wall that was bringing her down and made friends with whom she has fond memories. 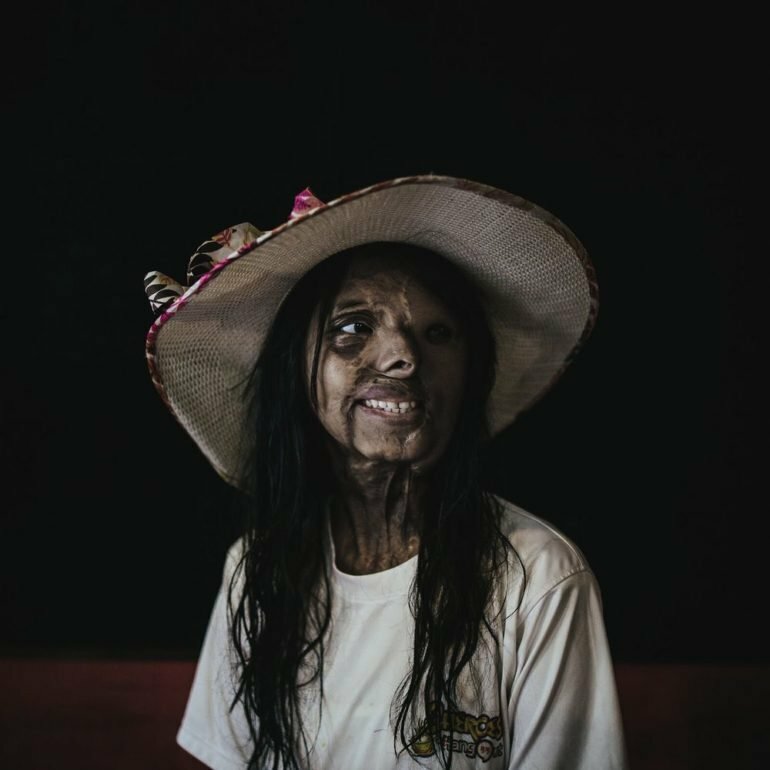 "When I was 2 years old, my father stormed into the house, where I was sitting on my mother’s lap and poured acid on her — half of which fell on me. I know this story from Doctor Gore, who treated me for the next few years because I don’t remember any of it — not even the pain. I just know that I lost my mother to that attack, and when my relatives heard of my condition — they disowned me. My father fled the city, and I grew up in an orphanage." "Honestly, from my doctors to those at my orphanage — I’ve been pampered a lot. They showed me incessant, unconditional love for which I’m so thankful…my childhood really wasn’t as bad as it would seem. Where I did struggle a little was when I stepped into the real world for college. Initially, I didn’t make any friends — I used to eat lunch alone, sit on the last bench and try my best to be invisible. I was so conscious of my scars that I felt like everyone was staring at me." "Turns out, it was all in my mind because I ended up making a lot of friends who I’ve had some of my happiest memories with. I remember this really funny incident when we were at a sleepover. I fell asleep but since the attack, my eyelids don’t shut – something my friends didn’t know. They kept talking to me for a long time only to realise I had been sleeping the whole time! We’ve made so many jokes about that — imagine how easy it was for me to sleep in my lectures — almost feels like I have a superpower! Often my friends ask me if I hate my father and if I’m vengeful — and my answer is always ‘no’. Honestly, I’ve forgiven him. He must have been in a dark place himself to even think of committing such a crime…but me holding on to it is like feeding that darkness — I’ve let it go completely." "I have no room in my life for hate — my entire focus is on finding a job. I was fired from my last job because of my appearance and because I took regular leaves for my check ups. Since then, I’m looked after by the Sahaas foundation but I’m hopeful that I’ll have another job soon! 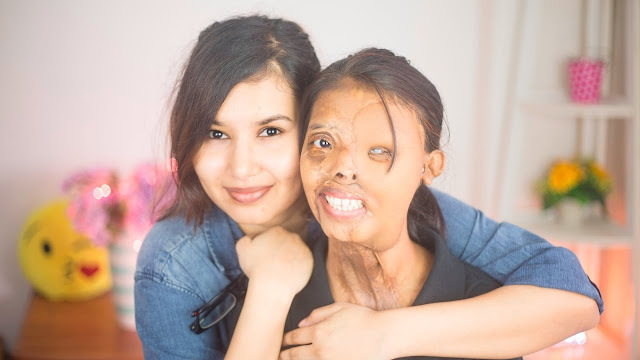 Looking back, the only thing I hate about the entire incident is that people still refer to me as an ‘acid attack victim’ — I’m not a victim! I’m as normal as anybody else — I’ve embraced my scars and I’m really excited for the rest of my life to unfold. 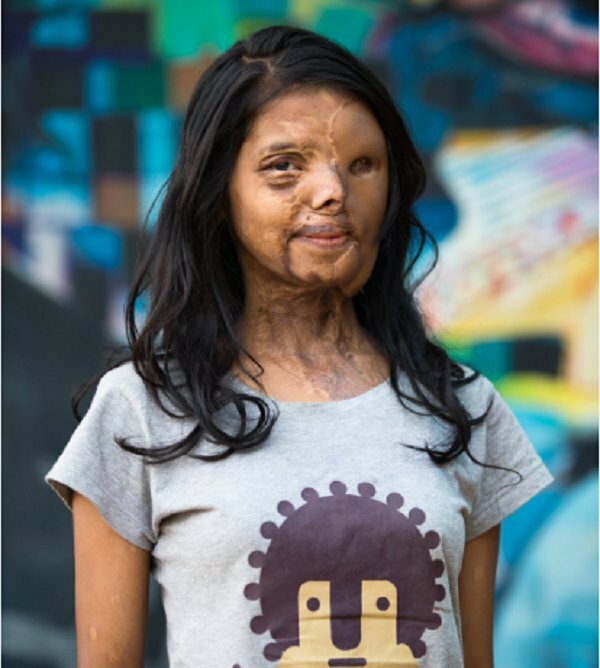 I have ambition, dreams and life goals…I want to make my mark in the world, not because of this acid attack …but everything I am, inspite of it." Now 23, Shabbo aspires to have a career in stage design and costume styling. Awaiting funds to be raised for multiple reconstruction surgeries, she is determined to make something of herself and be happy. Never letting her traumatic past dictate her life, Shabbo is a survivor, not a victim.